What a night! Partying with friends, a fantastic way to usher out the old year and herald in the new. 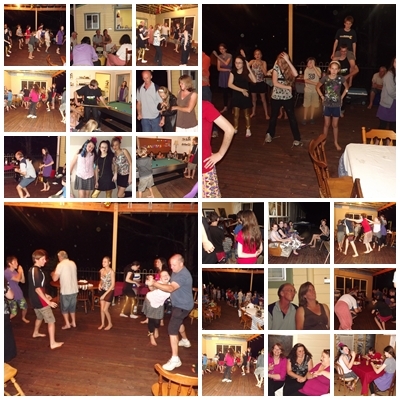 Nine families, 72 people gathered at our place, our first party on our new deck, we experienced how well our home flows for a party. It looks like you had a marvelous new year!! What fun! And we won't mention how tired we all were the next day or how I pulled a muscle in my leg that meant I could barely walk yesterday! Sounded like a wonderful night. Oh it was a wonderful night, so blessed to have friends see it in with us.